Hope you had a great weekend and to my American friends, a fabulous Thanksgiving holiday! We had a delightfully mild Sunday this weekend which led me to leave my winter coat at home and sported this fleece lined hoodie from Bench instead. I particularly love the fit of Bench hoodies. They are very slim fit, which is both flattering and also keeps you warm as it sits snug on your body. 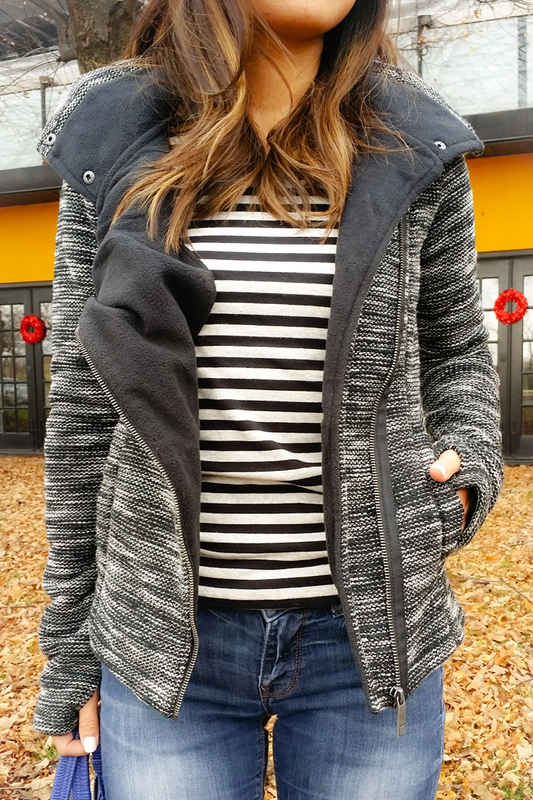 This Tally B Zip Through hoodie has a tall zipped neckline and of course Bench’s signature thumb hole sleeves – details that are functional and fashionable! Two of my favourite DIY fashion projects of all time also decided to make an appearance on this fine day – embellished baseball cap and Chanel inspired chained bootss. I also had the pleasure to visit MUJI Canada‘s pre-opening event and snatched up this super comfy (seriously, no kid ya) striped tee for $20. 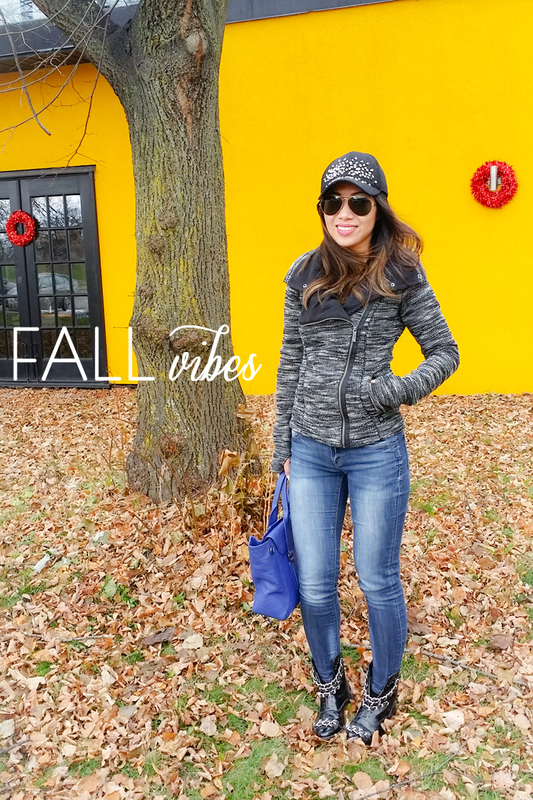 So many great gift ideas in this post for that fun, casual gal in your life! Happy (Cyber) Monday, so many good deals, shop till you drop!